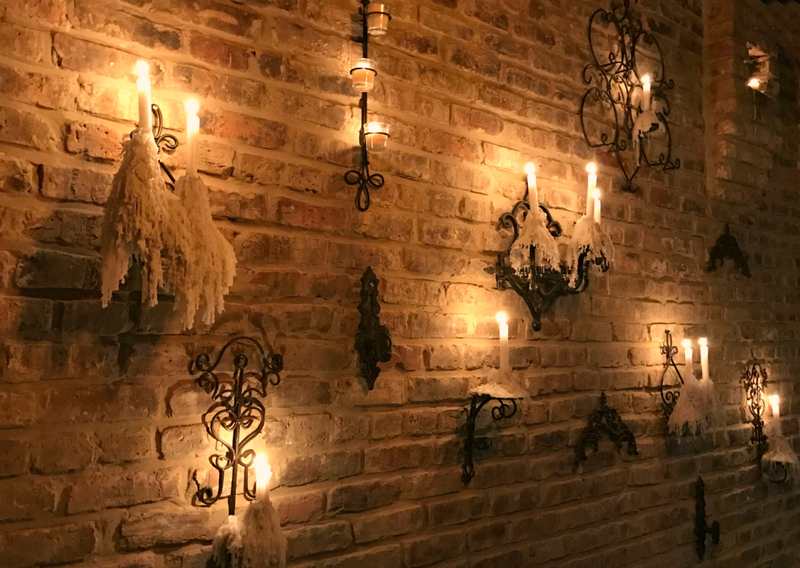 A dramatic entrance wall of flickering candles sets the mood for romance as Wicker Park's 6-month-old hot-spot Harvest Moon marks its inaugural Valentine's season with a 6-course Valentine's menu created by Executive chef Emmalee Santioni. A wall of flickering candles sets the mood for romance at Harvest Moon. 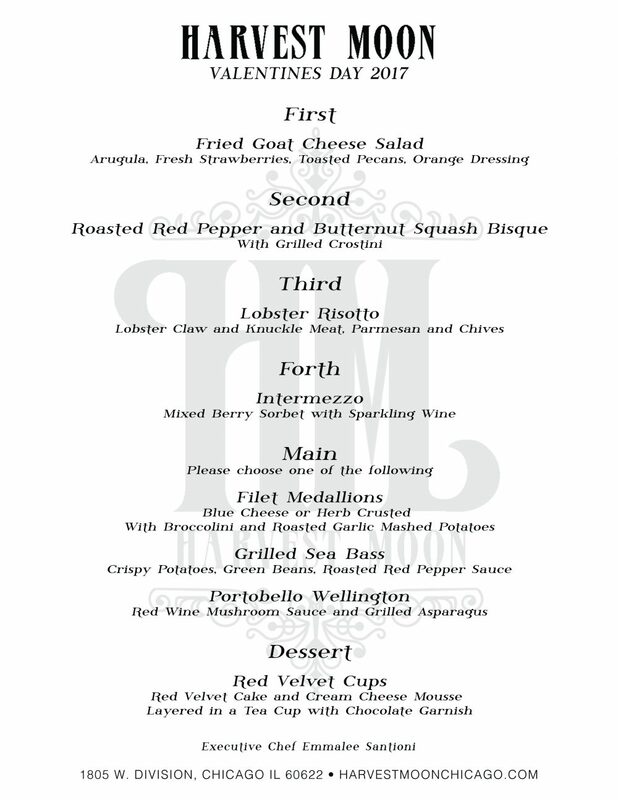 The 6-course Valentine's menu begins with Fried Goat Cheese Salad, Roasted Red Pepper and Butternut Squash Bisque, Lobster Risotto, followed by an Intermezzo course of mixed berry sorbet with sparkling wine. From there, select between entree options of Fillet Medallions, Grilled Sea Bass or Portobello Wellington, ending with a special Valentine's dessert of Red Velvet Cake with Cream Cheese Mouse layered in a teacup. 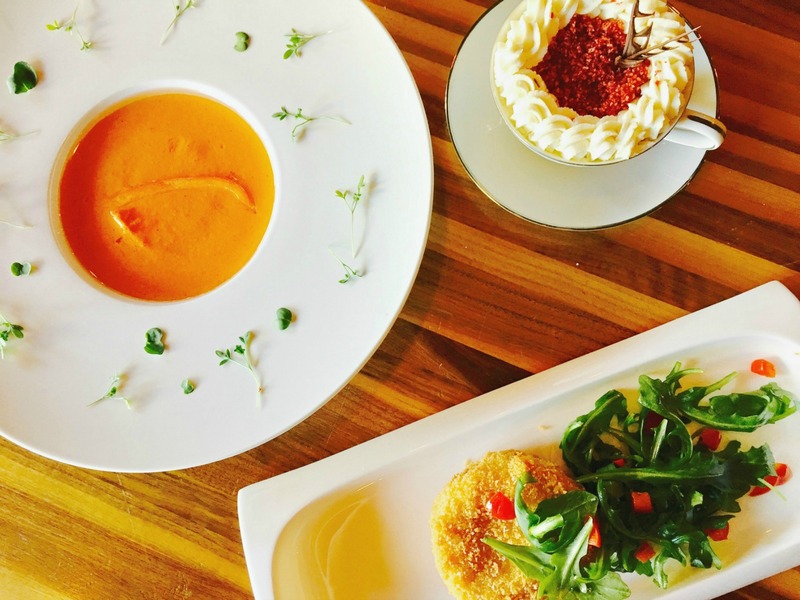 6-course menu includes Fried Goat Cheese Salad, Roasted Red Pepper and Butternut Squash Bisque, and Red Velvet Cake with Cream Cheese Mouse layered a teacup. The Valentine's Menu is $120 per couple, $150 per couple includes bottle of red, white or sparkling wine. Available Fri Feb 10, Sat Feb 11, Sun Fed 12, Tue Feb 14.